Bundesliga | Bayern and Oranje ace Arjen Robben: "We have to pray France beat Sweden"
Bayern and Oranje ace Arjen Robben: "We have to pray France beat Sweden"
A decisive week of football awaits the Netherlands in FIFA World Cup 2018 qualifying, according to Bayern Munich winger Arjen Robben. The Oranje, who sit fourth in Group A on seven points behind leaders France (13), Sweden (10) and Bulgaria (9), host rock-bottom Luxembourg on Friday, while France travel to Stockholm to take on Sweden. 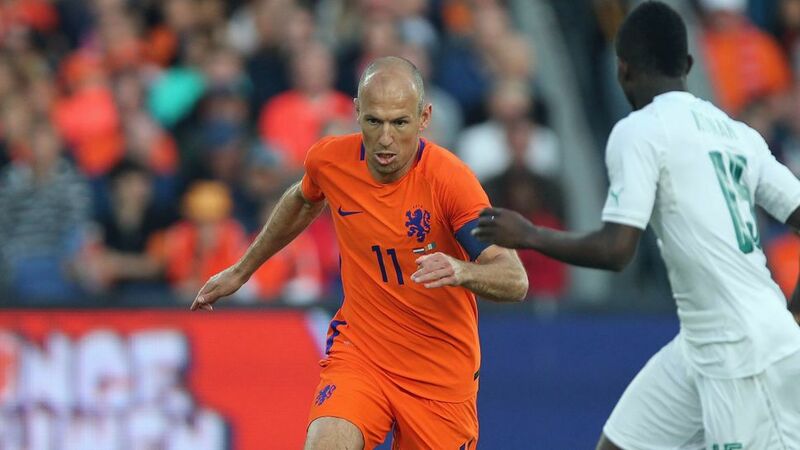 "We have to pray that France beat the Scandinavians," said Netherlands captain Robben, after scoring a penalty and registering an assist in a 5-0 friendly rout of Cote D'Ivoire on Sunday evening. "If we beat Luxembourg then we can still envisage taking second place to go into the play-offs." Indeed, with Robben in such flying form, the Dutch have every chance of reaching the World Cup finals in Russia - one way or another. The 33-year-old chipped in with 16 goals and 12 assists in all competitions for Bundesliga champions Bayern in 2016/17, and has found the net in two of his last three internationals.